As of 2/10/19, we have raised $21,664.00 of our fundraising goal. As of 10/17/2018, we have raised $17,474.17 of our $40,000 fundraising goal. Our goal for the 2018/2019 ski season is the raise the remaining $22,500! Please consider donating to our PayPal GivingFund account where the ski club can keep 100% of the donations! PayPal will not charge us deductions or fees! At the club’s spring meeting I reported that over $16,000 has been raised for the Capital Campaign. 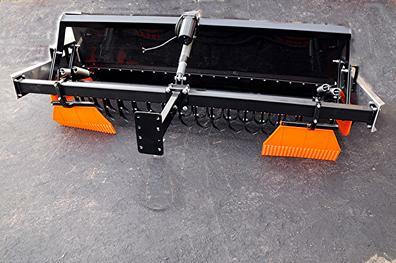 After some discussion, it was decided to focus on purchasing the quad track and grooming equipment, with an expense for these items of approximately $32,000. A motion to spend $6,000 from checking and $11,000 from a CD to fund the purchase was made by Jody and seconded by Dale and was approved unanimously. The expense still leaves the club safe with $10,000 in the CD and over $5,000 in checking. We expect to have the equipment available for use in the 2018-2019 ski season. THANK YOU to all contributors for making this purchase possible. We would like to give a special thanks to club member Keith Lauritsen of Green Bay WI for applying for the Thrivent Grant of $5,000 for our ski club's fundraiser! Special Initial Challenge Contribution Thank You! We are excited to announce an initial challenge contribution of $2,500 to this fundraising campaign from Dr. Pat Warpinski of the Animal House Pet Clinic of Green Bay. This donation shows the spirit and generosity of the cross-country skiing community. Special thanks to Dr. Pat for kicking off this campaign in a significant way. We are looking forward to the generosity of our skiing community in our efforts to achieve our goals. Details about our fundraising goals! Based on the results of the survey of membership last year, we are rolling out a capital fundraising campaign, with the intent of upgrading our grooming equipment. 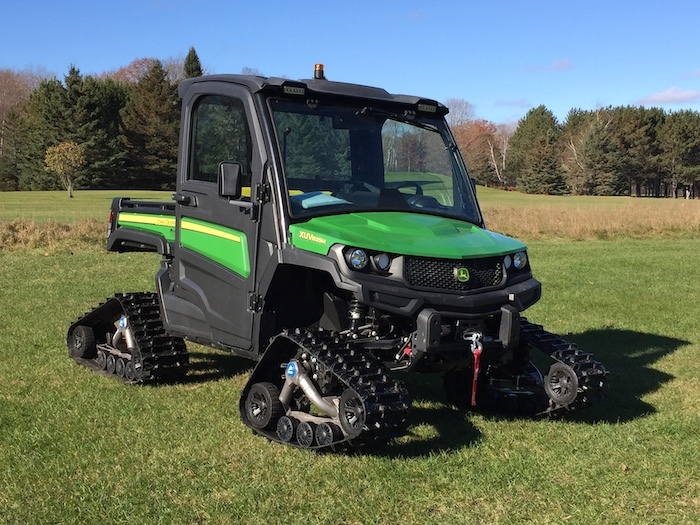 With the development of UTV Quad Track systems and advancements in track-setting capabilities, we will be able to provide a more flexible and efficient grooming program. Our club members told us they would use the trails more often if they were safer in all snow conditions. With this purchase of the new equipment, our ski club will save money over the years to come and provide a more enjoyable experience for all skiers! By allowing us to mow our own trails more often, clean up fallen trees, and groom our trails more effectively than ever before, we will ensure a great skiing experience well into the future! Our club is a non-profit 501 (c)(3) tax-exempt organization, which assures that all contributions are tax-deductible to the fullest extent allowable. Proper planning for the future requires us to move ahead with the times and purchase a UTV with quad tracks, including a track setter and pull-behind mower with accessories. We are using YouCaring.com's platform to help our club members and fellow skiers ensure a safe, quick and secure donation process online. You are still welcome to mail donations to our PO Box found here or make a donation online today! This vehicle will allow us to go out when the conditions do not allow for the PistenBully. This will become our everyday vehicle allowing for a better track to be applied, more often. This is a great future upgrade to replace our current snowmobile set up. It is great for setting double classic tracks in a single pass. We are confident the Ginzugroomer will allow our UTV to lay great tracks and improve our grooming program. 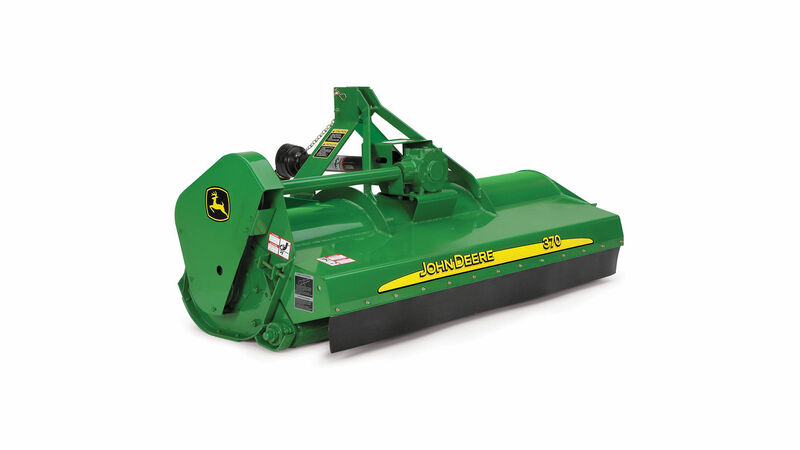 By getting a pull-behind mower, we will improve our offseason preparations. It currently takes countless volunteer hours to get our trails ready. This will help us speed up the process and ensure we are always ready for the next ski season! We hope you will join us to ensure future great skiing conditions at our Lakewood Cross Country trails for many more winters!